Total S.A. (Total) is a major oil and gas company with operations in more than 130 countries that span all aspects of the industry, including both upstream (exploration, development. and production) and downstream (refining, marketing, and the trading and shipping of petroleum products) operations. Total has been operating in Nigeria for 50 years and its deep-offshore oil & gas field development projects have been one of the main growth drivers in Africa. In Nigeria, the company operates through Total E&P Nigeria Limited (TEPNG) which carries out all upstream activities, including deep-offshore operations. The Usan field is situated offshore Nigeria within oil mining lease (OML) 138, some 100 km south of Bonny Island, at a water depth of 750 m. Construction of the Usan FPSO by Hyundai Heavy Industries commenced in 2008 and was overseen by TEPNG. The vessel was launched in April 2011 and arrived at the field in July 2011. The Usan field came onstream in February 2012 and is able to yield 180,000 barrels of oil per day. As the supplier of the integrated control and safety system (ICSS) for the Usan FPSO, Yokogawa Korea was involved from the early stages of this project. The delivered solutions include the CENTUM CS 3000 process control system (PCS) for the hull / topside control, the subsea control with the interface solution and overall control of wells and risers (OCWR), and the Plant Resource Manager (PRM) package for instrument management. These are integrated with third-party systems and software such as a process safety system, emergency shutdown system, fire and gas system, machine monitoring system, process data server, and operator training and maintenance system. 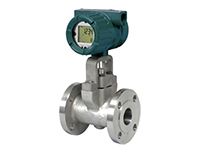 Yokogawa's vortex flowmeters were also installed in the field. From the very start of operations at this field, the entire facility has run safely and smoothly. The first phase of the project (phase 1) required the development of basic design documents based on Total's general specifications (GS). The GS provide a general description of the overall requirements for the project and specify what must be developed during the detailed design phase. Normally the phase 1 work takes at least eight months, but this had to be accelerated because of a tight project schedule. With a strong commitment from all members of a joint team made up of personnel from Total, an EPC contractor, a third-party vendor, and Yokogawa Korea and France, the phase 1 work was completed in just 5.5 months. Working together with the EPC contractor, the team also achieved satisfactory progress during the detailed engineering phase (phase 2). In both phases of the project, including the offshore commissioning of the ICSS, Yokogawa played a key role on this joint team. 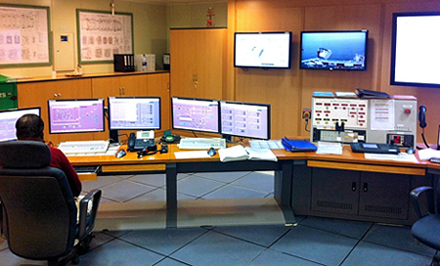 Full integration of all systems was a key to ensuring the reliable and efficient operation of all subsea systems from the central control room (CCR) onboard this FPSO. 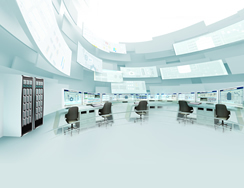 Yokogawa provided the third-party SCADA data gateway software as a protocol translator (from OPC to Modbus TCP/IP) using automated operating procedures that were developed on the ICSS platform. The following describes how the full integration of systems was achieved. All the subsea process information is gathered by a master control station (MCS) supplied by a subsea module supplier and transmitted to the ICSS system operator stations in the CCR. The MCS uses approximately 16,000 OPC tags for data exchange with the ICSS through a full redundant OPC gateway, with a scan time of one to two seconds. Since most of these tags are used by the ICSS controller for OCWR control functions, the ICSS controller must interface with the MCS through the Modbus TCP ports. To enable the controller and the MCS to communicate with each other, a Modbus TCP communications link was established via a software converter. Data could thus be collected from OPC servers and slave devices using the IEC 60870-5, DNP3, and Modbus communications protocols. Without having to install additional OPC servers, this data can then be passed on to other control systems that support these protocols. In this way, the control systems for subsea and topside operations can be integrated, allowing easier configuration and maintenance. The Usan subsea production system is linked to the FPSO topside by flow lines, risers, and umbilicals, and is comprised of 42 wells with vertical Xmas trees, of which 23 are oil producers and 19 are injectors (10 gas and 9 water). There are also 8 off-line manifolds (for the producers). The subsea systems are fairly complex and difficult to control, and this places a considerable burden on the operators. As part of the OCWR system, a set of control algorithms was implemented in the PCS that automate certain recurring operational procedures for the subsea production and injection networks that are carried out from the CCR. 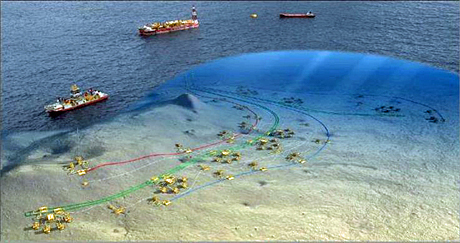 The OCWR system improves the reliability and efficiency of subsea production and injection operations by taking into account factors such as gas lift availability and separator throughput, well characteristics, and subsea infrastructure, resulting in reduction of the overall workload for the operators in the CCR. All the instrument information from hull and topside, including the data from a third-party package, is fully integrated with the instrument management system. From their stations in the computer engineering room, operators and maintenance personnel can monitor device status in a window and analyze problems as they occur. Consequently, maintenance personnel do not have to go out and inspect/troubleshoot devices as frequently. Temitope Olapoju, Onshore Maintenance Supervisor at TEPNG, commented, "The Usan FPSO project was a success and I attribute this to the good performance of the Yokogawa Korea personnel and their cooperation with the third-party vendor. Though the overall schedule was tight for items such as engineering, FAT, and integrated FAT, the people from Yokogawa and other members of the integrated team worked closely together to bring the project to a satisfactory conclusion. Now we are operating the whole facility smoothly and effectively from the CCR."